Dare to be off-square with our best-selling Shutter Collection. 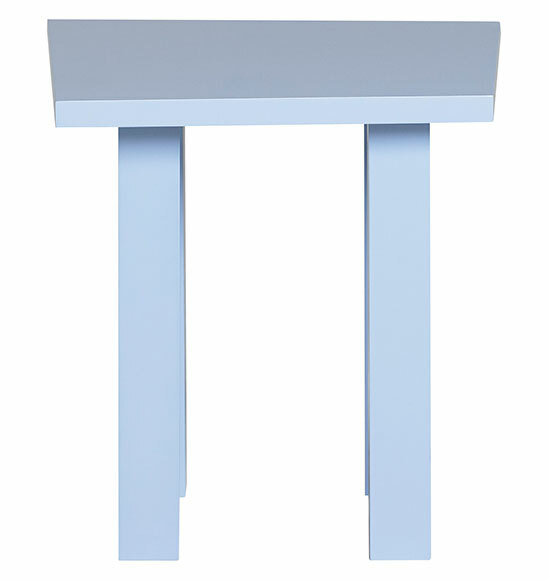 The End Table is a super sturdy design with a trapezoidal top. Searching for simplicity with a twist? Look no further than Furniturea's Shutter style. Shown in Sophie Blue. Natural finish options available.